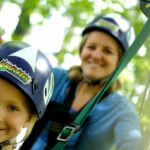 Adventure Park & Zip Line Expert Witness > AdventureSmith, Inc. 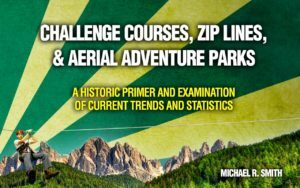 The commercial aerial adventure course and zip line market in the U.S. has experienced double-digit growth for more than a decade. With the rapid growth and increase in number of annual riders has come an increasing number of accidents. With more than two decades of experience in the design, development, installation, inspection, and operation of challenge courses, zip lines, and adventure parks, we have the experience necessary to assist companies pre- and post-claim to mitigate risk and losses and to assist counsel at each stage of litigation. The types of cases in which plaintiff and defense counsel have utilized our expertise are numerous. With more than two decades of experience in design, development, installation, and operation of challenge courses, zip lines, and adventure parks, we can assist counsel with each stage of the litigation process. 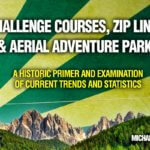 In situations where claims are insurance-based and corrective actions have been identified, we can assist zip line and adventure park operators with post-claim improvements to bring their operations and structures into substantial compliance with applicable standards, jurisdictional requirements, and accepted industry practices. We encourage counsel to contact us as early as possible so that we might establish a professional relationship and lay out time lines and the scope of the contract. 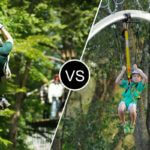 While the zip line and aerial adventure course market are growing rapidly, it is a relatively small market consisting of only a handful of insurance companies and a few dozen significant vendors. It is important to role out possible conflicts of interest and to determine if our services are a good match for your needs. In situations where a conflict exists that cannot be cleared or where our expertise or availability is not suitable to your needs, we can help recommend other experts in the zip line and aerial adventure park market with whom we have worked or whose opinions we have reviewed. Industry-leading business and operations consultant with more than 20 years of experience designing and developing award-winning aerial adventure parks and 24 years of experience delivering adventure-based tours and team and leadership development programming. 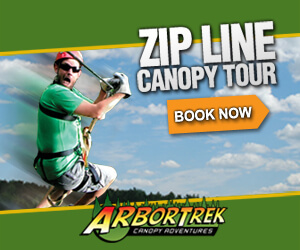 Founder and president of AdventureSmith, Inc. and ArborTrek Canopy Adventures, LLC.